Climbing a wall of worries – trade war, rate hikes and currency turmoil. Valuation cushion implies bottom is near, bargain hunt near 2850 (STI). Seek value in stocks offering earnings visibility, yield plays with growth, bomb out stocks, trade diversion beneficiaries. GDP growth in major economies is expected to slow down in 2019 as the impact of the current US -China trade tariffs is felt. The IMF lowered its global growth outlook for this year and next to 3.7% from 3.9%, citing US-China trade tariffs; weaker growth in Eurozone, Japan and the Britain; and rising interest rates. IMF lowered the 2019 growth forecast for US to 2.5% (prev. 2.7%), China to 6.2% (prev. 6.4%) and Eurozone to 2%. While Asian stock markets may have factored in tariffs already announced, an ‘all out’ trade war between the two countries would make matters worse. The US currently imposes tariffs on USD250bil of Chinese imports and threatens to do so on a further USD257bil worth of Chinese goods if talks between Trump and Xi at the G20 summit are unsuccessful. Except for US and India, global manufacturing Purchasing Managers’ Index (PMI) has been on a softening path this year. While this trend should continue in the short term, DBS Research’s Chief Economist warns that US growth could start to slow down towards the end of next year as the current strong fiscal impulse turns down and companies feel the full impact of tariffs and trade restrictions. A slowdown in US growth will complete the global slowdown scenario if neither Asia nor Eurozone is able to pick up the slack. Our Chief Economist warns of slowdown in US y-o-y GDP growth from 3% this year to 2.5% next year, further slowing to 1.5% in 2020. This downward trending forecast is also shared by the IMF. The upward earnings revision trend for US companies has lasted years as the US equity market heads towards its 11th year bull run since the GFC. But this could come to an end. The US equity market currently trades at 16.3x 12-mth fwd PE, which is above the 10-yr average of 14.9x. US markets are vulnerable to a de-rating if the positive earnings revision trend comes to an end or worse, turns negative. If the weaker GDP forecasts comes true, US equities risk sinking deeper into a correction as a result. A downturn in US equities could have a negative spill over effect on global equities. The FED may not stop at two rate hikes even if global and US growth slows. Consensus expects the FED to hike rates twice next year, lifting the FED funds rate to 3% by end 2019. Our Chief Economist sees double. He notes that the chance of the FED pushing up policy rates to above neutral rate as the odds that output is well above potential has risen. This possibility was also flagged by numerous Federal Open Market Committee (FOMC) members in recent months. Inflation could readily surprise on the upside as oil, tariffs, and a tightening labour market lift wages, compress margins and give producers ample reasons to raise prices. For example, both the US unemployment rate and the weekly initial jobless claims sank to a near 50-yr low. The average weekly earnings growth has been on an upward trending path for the past 2 years. Our Singapore economist notes that while the US-China trade war will bring about a lose-lose outcome for both countries (exports performance for China and tax related inflation on US consumers), countries in Southeast Asia are the main beneficiaries of the trade diversion effects. Beyond the obvious better trade terms for their US exports, these countries could potentially see more inflows of foreign investment as companies reassess their global supply chains in the medium term. 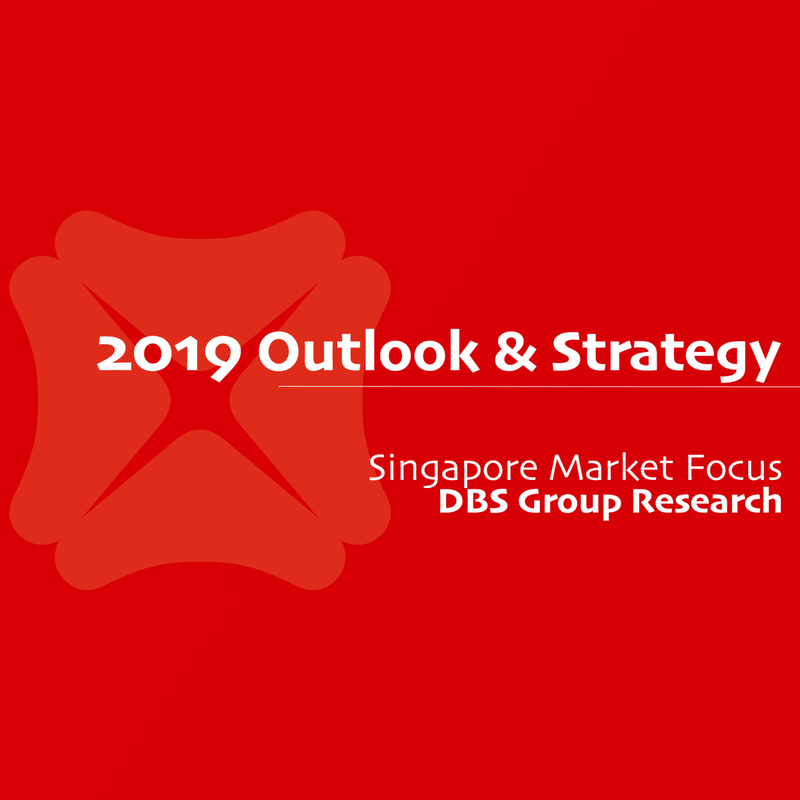 Being a regional shipping and financial hub, Singapore could see positive spin-offs in terms of demand for its re-exports, logistics and financial intermediation services. Our Singapore economist adds that countries with existing trade agreements with US and China whereby the trade terms are more favourable could even see added advantages. In this regard, Singapore has invested significant amount of resources over the past two decades in securing bilateral FTAs and participating actively on several regional trade agreements. The next level of escalation in the current US-China trade war is the expected increase in US tariffs rate to 25% from 10% for USD200bil of Chinese imports by 1 January 2019. While the worst-case scenario of an all-out trade war is not priced in yet, we think Asian stocks have factored the current tariffs enacted that amount to USD250bil of Chinese imports by the US and USD110bil of US imports by China. Likewise, consensus expects the FED to hike rates 1 more time this year and 2 more next. Equity markets have likely priced in the 2 hikes for 2019 but not 4 rate hikes. The Asia Ex-Japan Index has fallen 21.8% from its February 2018 peak as investors reacted to the unfolding of the US-China trade war. It now trades at a reasonably attractive 11.57x 12-mth fwd PE that is near -1SD of its 10-yr historic valuation. At the same time, the 3.5% cash level among Asia-Ex Japan funds waiting for an opportunity to be deployed back to equities is comfortably above average. Any positive developments in the US-China trade negotiations that leads to at least a pause in tariffs or a signal by the FED not to push rates beyond two hikes next year will be positive for Asian stocks.